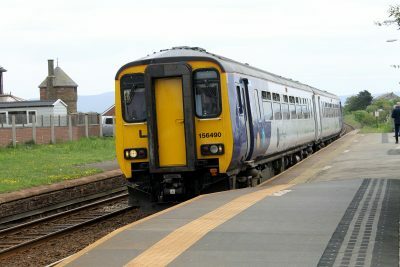 Most trains operate between Carlisle and Barrow with additional early and late trains between Carlisle and Whitehaven and between Millom and Barrow. 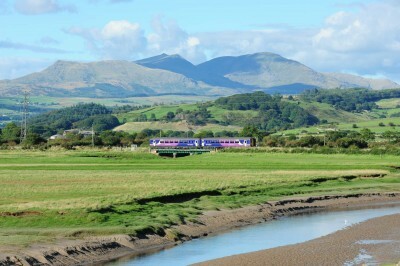 A small number of trains operate from Carlisle through to Lancaster or Preston. 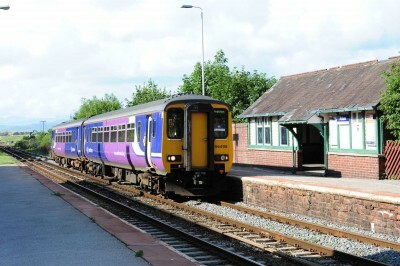 Most trains are two car diesel class 156 Sprinters with four cars at busy times. By the end of 2019 they should all be four coach 156s. 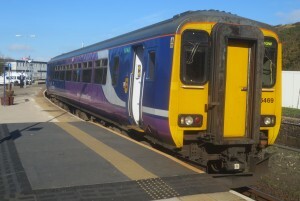 Occasionally class 142 Pacers are used. Doors are opened either automatically or by pressing the button next to the door (or on the post near the door on Pacers). 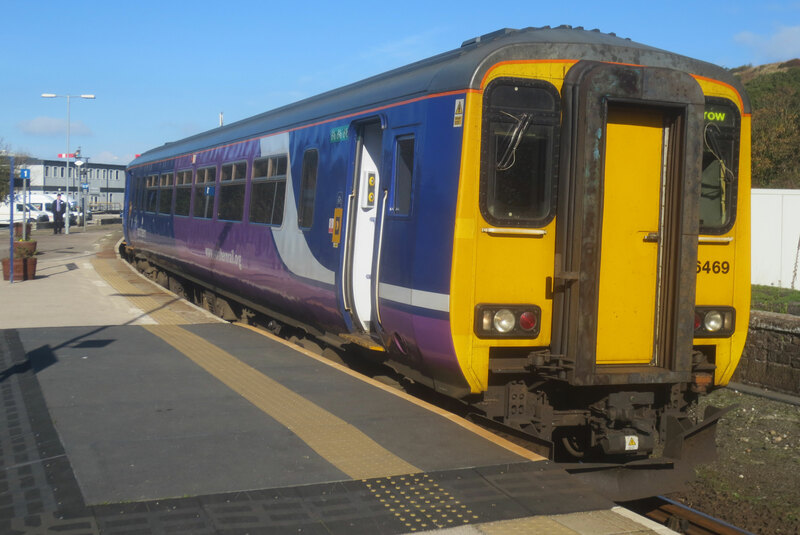 Some stations are request stops: Flimby, Parton, Nethertown, Braystones, Drigg, Bootle, Silecroft, Green Road and Kirkby in Furness. For these stations ask the conductor to stop the train – if the conductor doesn’t appear they will usually be in the rear compartment. If you are waiting on a platform at a request stop please indicate to the driver that you want to catch the train. 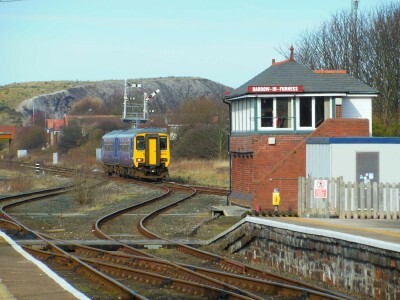 Because of the low platforms at most stations there are Harrington humps, a raised area which is frequently at the front of the train though this varies at different stations. 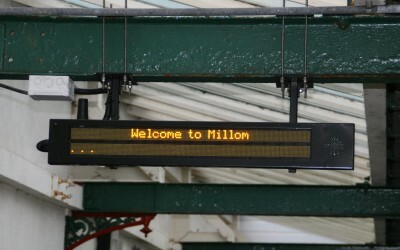 Announcements are sometimes made but if in doubt ask the conductor the best place to get off. 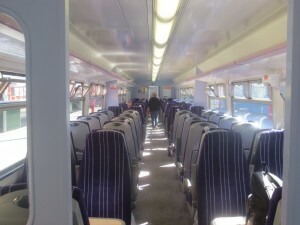 All trains have toilets and spaces for wheelchair users, cycles and luggage. Pushchairs are carried but may need to be folded. All trains are standard class only. There are no catering facilities on board.